After a brutal attack by Islamic extremists last week, Pastor Peter Haneef (President of the ALG Church), by God’s grace and the prayers of His people, is recovering. He had been ministering in Bangladesh when, in the middle of the night, radicals burst into the place where he and his young family were staying (Brutal attack on ALG Church leader Pastor Peter Haneef and family in Bangladesh). Underground church members rushed him first to a nearby hospital where he was refused admission, then transported him hours away to another hospital. With several broken bones and severe blood loss, he had by then lost consciousness. In need of major surgery, believers donated blood and stayed on hand to pray him through the operation. They rented a room in a neighboring lodge and began a prayer vigil. Pastor Paul of Bibles for Mideast arrived at the hospital to visit with Pastor Peter and his family, later joining with the others for all-night prayer at the lodge. In the meantime, Khani*—who had led the attack on Pastor Peter and his family—began having serious troubles at home. His 16-year-old son dreamt one night that a joyful little lamb entered their house, but his father grabbed a knife and tried to kill it. Injured, the lamb managed to escape. Within a few minutes, the boy saw a mob of giants—resembling an army from some other planet—hurry towards their house. Furious and with round, reddish eyes, they breathed fire from their mouths and nostrils. They clearly intended to destroy the whole village, particularly his house and every one in it with some kind of strange, extraordinary weapon, the boy marvelled. The wounded lamb appeared instantaneously and stood between the monstrous army and his house. Alone, it successfully fought off the angry giants. It then gazed mournfully at the boy’s household before disappearing. He couldn’t help noticing blood oozing from its wounds. His father, mother and others in the home had no idea what he was talking about. They finally realized he must have had a disturbing dream and tried to calm him. But the boy’s pleas only intensified. 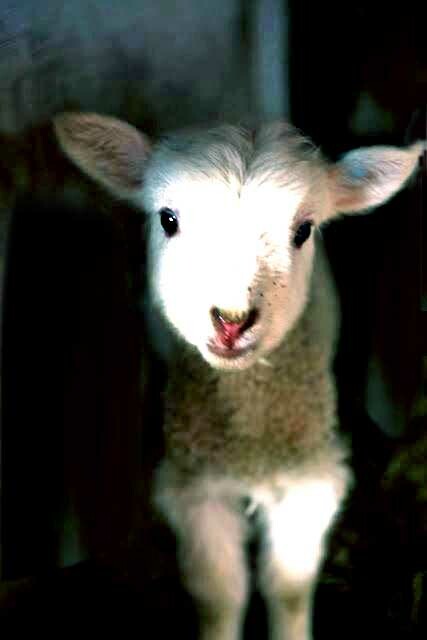 Now shaking uncontrollably, he began screaming for the lamb. His fever rose dangerously throughout the day; by evening his concerned parents took him to hospital. Pneumonia began setting in but doctors could find no reason nor offer any relief. Within two days his legs were paralyzed. Their imam visited the boy and prayed over him, but nothing changed. The boy’s mother implored her husband to go find the pastor as soon as possible, for their son’s sake. Khani however had no idea whether the man had survived, and if he did, where he might be. But his wife wouldn’t give up her desperate pleas. If he went to where the church leader had been staying and he was no longer there, others nearby would know something, she felt certain. But Khani remained uneasy, especially about the prospect of facing the pastor and his people. The secretly Christian women insisted he had nothing to be concerned about. Within seconds, Khani left the hospital to go to where the pastor had been staying. Several church members were meeting for prayer there with Pastor John Asghar, a Bibles for Mideast minister who had stepped in to lead while Pastor Peter recovered. Fear gripped the believers when they saw Khani … until he began to speak. He politely and humbly asked them about Pastor Peter, then burst into tears like a child. At Pastor John’s request, he explained everything. The pastor told him about the major surgery ongoing, necessary due to the attack. Absolutely miserable by now, Khani asked forgiveness of all of them. Pastor John and the others invited him to sit with them for prayer. As they began to pray for his son, they felt Holy Spirit moving mightily. Pastor John heard the Lord tell him to go with Khani to see his boy in the hospital. He then explained why and how the Lord Jesus was crucified, died and rose from the dead. He shared his testimony of converting to Christianity from Islam, and how Pastor Peter converted [that story here: From radical Islamic murderer to ardent leader in the Kingdom of Jesus]. Khani went along with what they said, and did as they suggested, but apparently not fully convinced. Led by the Holy Spirit, the pastor and three of the other believers accompanied him to visit the boy in hospital. They found him lying sedated and motionless. Pastor John took out his Bible and read Isaiah 53. They all then sang several verses of a song before joining hands to pray over the boy. As they did, his legs began shaking intensely and he opened his eyes. He tried to sit up, so the men reached out to help him. “The little lamb came to me again and washed me with the blood coming out of its wounds!” he exclaimed. “After that, it transformed into a man with blood-stains on his hands, chest and legs. Then he told me he is Jesus Christ, and was crucified on the cross of Calvary, died and rose from the dead for my salvation. He asked me to believe in him as my Lord and Savior. Then he disappeared.” The boy rose from his bed and took a few steps, his legs now fully functional. “I believe Lord Jesus Christ!” he cried. The third day after his son’s dramatic healing, Khani and his family attended Sunday worship at Pastor Peter’s church (currently led by Pastor John). He shared his testimony, and immediately afterwards, his wife and their other children joined him in accepting Jesus as Savior and Lord. Once the meeting ended, he and his family made the long drive to visit Pastor Peter in hospital. Khani reached out to gently touch the injured pastor’s legs and begged forgiveness. “My dear brother,” Pastor Peter replied. He then invited the former terrorist to sit by his side and prayed for him. Khani says that he will share his experiences with his friends, and hopes to convince them of Jesus Christ’s sacrifice for the salvation of all. This will be a dangerous undertaking, so please pray for his protection and success. Please also pray for Pastor Peter’s complete recovery; that he will be strengthened by the Holy Spirit to lead the church even more powerfully than ever. Keep the believers and other workers in your prayers as well.